Sir John Adams was the first Professor of Education at the University of London. His many publications and lectures made him an international figure in education and one who was especially respected in the United States, where he lived and taught from 1923 to 1934. He also wrote children's books under the pseudonym Skelton Kuppord. He was born in Glasgow on 2 July 1857, third son of Charles Adams, a blacksmith, and his wife Barbara McCallum. 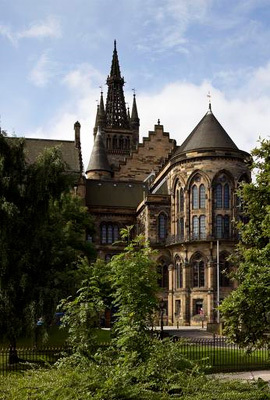 After his early education at St David's School and Old Wynd School, where he was a pupil teacher, he entered the Glasgow Free Church Training College and the University of Glasgow (1875). He studied for six years at University, interrupted by a period of teaching in Aberdeen at the Free Church Training College Demonstration School. He graduated MA with a First Class Honours in Mental Philosophy in 1884. In 1888, on the strength of his previous curriculum, he was also able to graduate BSc. His experience of teaching was, like the curriculum he had undertaken as an undergraduate, notable for its breadth. He was a school teacher, rector of Campeltown Grammar School and president of the Educational Institute of Scotland. He was rector of the Free Church Training College first in Aberdeen (1890) and later in Glasgow (1898). He was a lecturer in education at the University of Glasgow and Professor of Education at the University of London (1902). He was a prolific author and speaker. His book, Herbartian Psychology Applied to Education attracted great interest and he continued to contribute to the literature of educational theory and psychology long after his retirement from teacher training work in 1922. He was knighted in 1925 for services to education. In the last decade of his life he settled in Los Angeles and lectured at the University of California and around the English-speaking world. He died on 30 September 1934. Born 2 July 1857, Glasgow, Scotland.